Nineteen-year-old Favel Farrington has lived most of her life with her parents on the Italian island of Capri. Having spent her younger years at the boarding school her mother attended in England, she never thought she’d go back, but her life is forever changed when Roc Pendorric of Cornwall walks into her father’s art studio. Before long she is married and journeying to an ancient and formidable ancestral home to meet complete strangers who are now her family. Though she has a warm welcome from most of the family and staff, her newly acquired 12-year-old twin nieces are a source of curiosity and sometimes annoyance. While the exuberant Lowella seems eager to charm, the melancholy Hyson tends to trouble Favel. To her chagrin, she finds she is unable to tell them apart many times and wonders whether they are playing tricks. Favel quickly learns there is a legend surrounding Pendorric that pertains to its brides–of which she is the newest. Hyson is eager to impart the story, setting into motion a succession of sinister events that prove to Favel that her life is in danger. There is a plethora of characters (ghostly and otherwise) who seem suspicious, but even so I had a good idea of the culprit early on–although that is not to say the way it played out was at all boring or predictable. 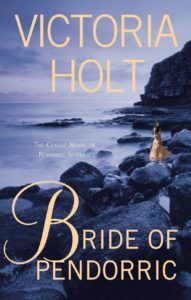 One area in which Victoria Holt excelled was creating complicated characters with true-to-life personalities and motives. When this book was published in 1963, its genre was most likely not as saturated with Gothic stories as it would become. There are no loose ends, and I am satisfied with the outcome. I had trouble at first dating this story, as there is no definitive year specified. 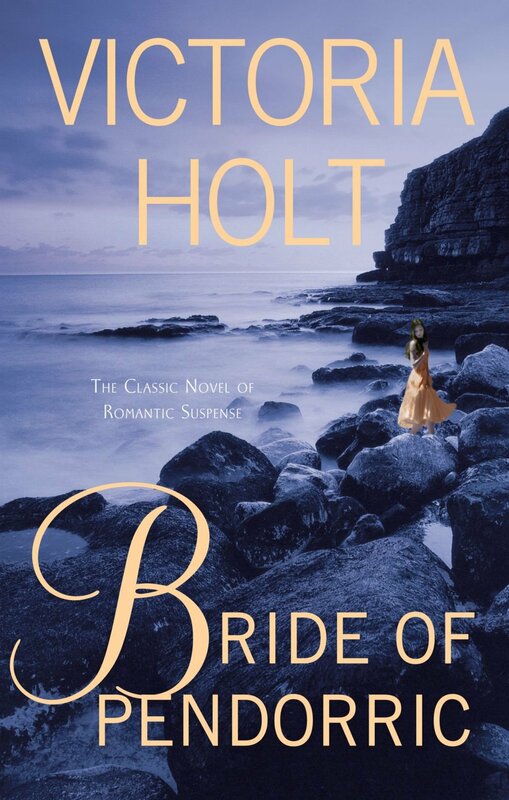 Since most of Holt’s “Gothic” novels are said to be Victorian, I assumed late nineteenth century at first, but there is mention of automobiles, television and phones. Finally, about halfway through, a date is cited and then said to be “almost two hundred years ago”, and so this seems to be set when it was published–in the early 1960’s. This is my third Gothic novel by Holt, and I’m noticing a pattern in characterization. Once I get through Kirkland Revels, and perhaps one or two others, I’ll have a better idea–but so far they seem formulaic. That’s not say the stories aren’t interesting and intriguing. In this one in particular, there is much about Cornish customs and historical sites (Trethevy Quoit, Cheesewring, Merry Maidens).